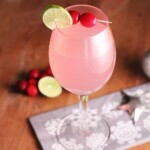 A pretty and delicious wintery cocktail with cranberry and ginger flavors! This year, I hosted my family for Christmas for the first time. It was a great Christmas full of my family’s traditions…there was fondue, the Nutcracker Ballet (my gift to my Mom), stockings (my Dad got actual coal in his stocking this year! ), and of course, turkey. It was a jam packed few days! My family left a few days ago, and I have to admit that I have spent a couple of days holed up in my basement watching bad TV. It is nice to have a few days off! Now that Christmas is over, the immediate shift in focus is on New Years. Traditionally my New Years eve is spent catching up with old friends in my hometown. This year I am sticking around in Calgary, and my boyfriend is on call (he was on call Christmas and actually had to go to a job immediately after dinner!). It is highly likely that my New Years will be very quiet, which actually sounds pretty much perfect to me. I am using the approaching New Years as an excuse to play bartender. I have been playing around with some cocktails that will be perfect for a New Years party. If you are spending a quiet night in like myself, these cocktails would be equally fun. Just because you’re not wearing a sparkly dress does not mean you don’t deserve a sparkly cocktail, right? The first cocktail I’ve tried out is a Cranberry Ginger Fizz. Not a gin fizz, although you could add gin rather than vodka if you’d like. 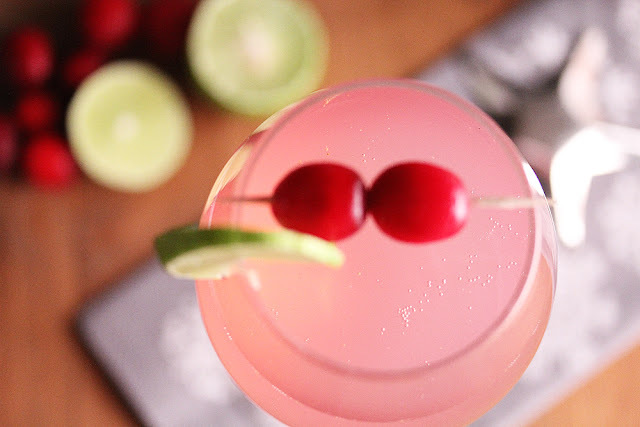 This cocktail combines two interesting flavors: cranberries and ginger. At first thought, you may not think that cranberries and ginger would go together. But after you taste this cocktail, any questions you might have will be thrown out the window. This cocktail is a delicate, wintery delight. The cranberry flavor was mild, probably because I actually used cran-raspberry cocktail. 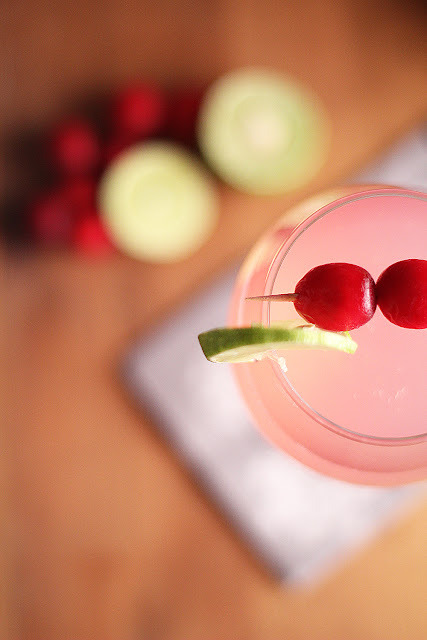 If you use actual cranberry cocktail, the cranberry flavors will be more intense. The ginger simple syrup adds an unmistakable gingery, wintery flavor to the drink. The cocktail is topped with a splash of club soda, diluting the sweetness and giving it a fresh finish. 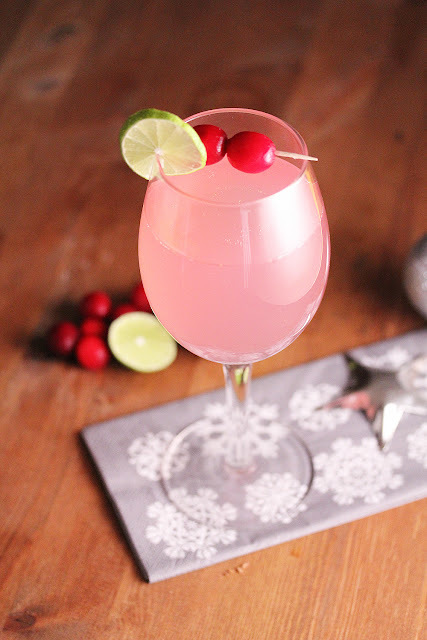 A wintery cocktail combining cranberry juice, ginger, lime and vodka. Can also be served as a cranberry ginger martini. For the Ginger Simple Syrup:In a small pot, combine all ingredients and bring to a boil. Stir until sugar is completely dissolved. Reduce heat, simmering gently for 10 minutes. Remove from heat and allow to cool completely. Can be stored in an airtight container in the fridge for up to 2 weeks. For the Cocktail:In a shaker filled with ice, combine the vodka, cranberry juice, lime juice and ginger simple syrup. Shake until well combined and chilled. Pour into a glass. 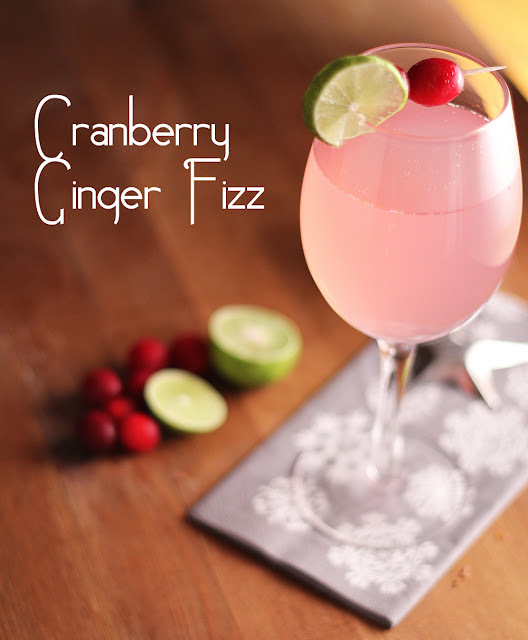 Top with club soda and garnish with cranberries. This cocktail can be served as a martini (without the club soda). This cocktail is also great, possibly even better, when you sub the cranberry juice with pomegranate juice!! YUM! Recipes adapted from Food Network & Martha Stewart. Denise, thank you for linking this in to Food on Friday. We are now getting a great collection of dishes using ginger together. 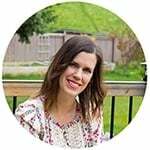 I hope you have stopped by some of the other links to check them out! Hi Carole, I have added you to my Google Reader. Thanks for adding me to yours! Thanks, Laura! It tastes pretty good too! What a gorgeous cocktail! Love that blushing pink color.